1 garlic pod chopped finely. 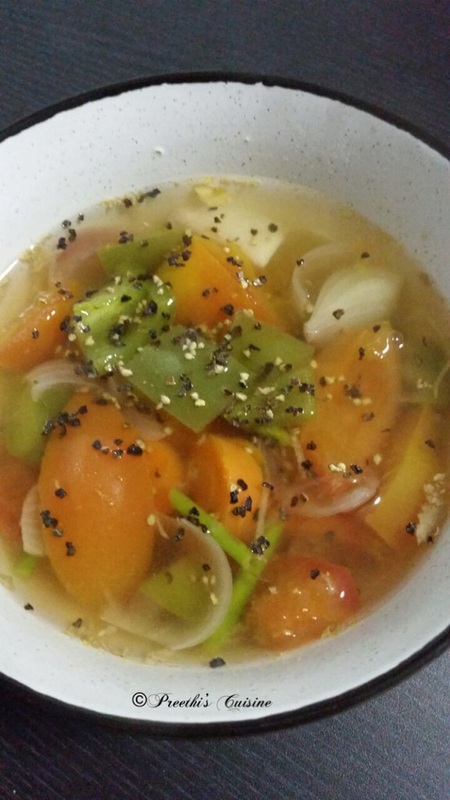 Take a thick bottom vessel and add 3 glasses of water(big glass).Add all the above mention veggies.Boil them till the water level reduces to half.Sprinkle some salt and pepper and enjoy the soup. 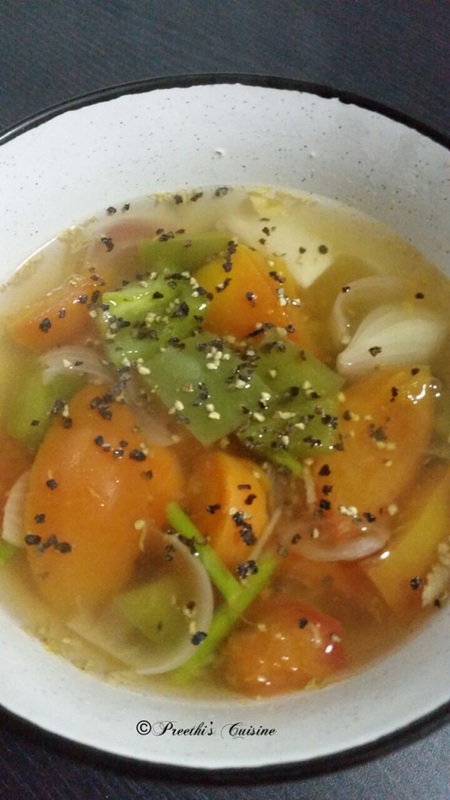 It is very easy ,healthy and yummy. Exactly that I want today to detox!